If your customers or clients are facing financial difficulty we can help. Everyday we help hundreds of people who are struggling with their finances. We understand the situations they are in and the reasons for their struggles. If you have customers that are struggling to make ends meet then we can help. 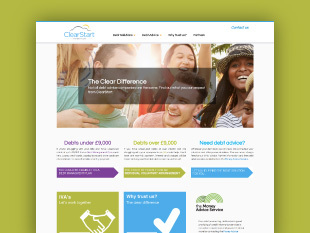 Get in touch today and find out more about why you and your clients should trust ClearStart to get their finances back on track. We will also be happy to talk to you about the exciting partnership and referral opportunities we can offer your organisation.